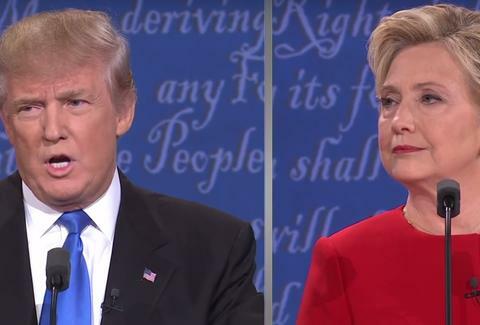 As the first debate of the 2016 presidential election opened Monday night, denizens of the internet latched onto one thing they simply could not let pass unnoticed. Donald Trump was sniffling. He was sniffling a lot. And it wasn't the kind of embarrassed, quiet sniffle you might give when you're trying not to annoy coworkers. He was sniffling loudly into the microphone as if it were his campaign slogan. Not only did the internet feel the need to comment on it and instantly create multiple supercuts of his sniffles, Trump's sentient snorts had their own Twitter account before Lester Holt launched his second question of the night. One of the reasons the internet might have latched on to Trump's runny nose isn't just because the sound was grating. It may have been because of the way Trump has previously pointed out minor ailments such as a sniffle or a cough as an indication that a presidential candidate might not be fit to serve. The truth is, everyone gets the sniffles sometimes. Even billionaires. Even presidential candidates. It just happened to be Trump's turn while he was being broadcast on live TV and that lead to him becoming Monday's snot-nosed meme-du-jour. But don't be too disappointed, Mr. Trump. Doing something weird on TV and becoming a meme is a rite of passage. It happens to all the best Americans. Just ask Michael Phelps. And don't forget to tune in to the next presidential debate!